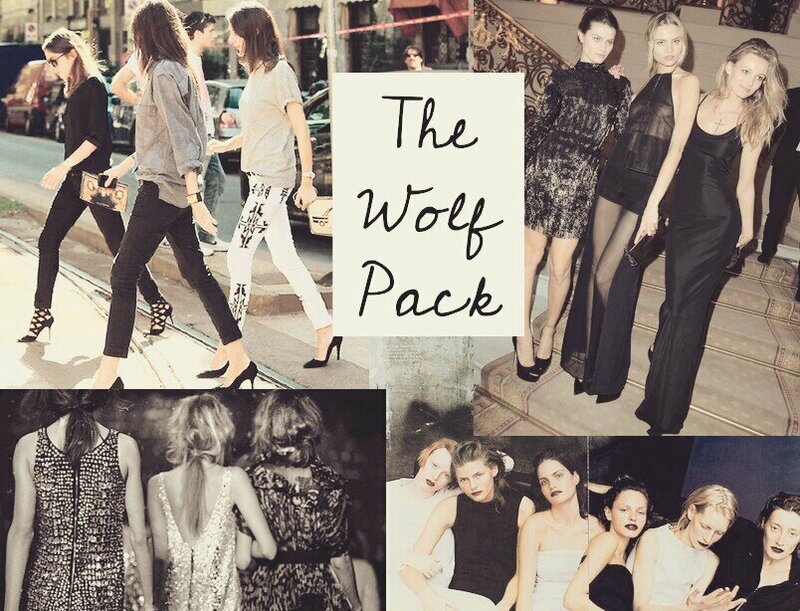 The original wolf pack may have been badly behaved boys in Vegas and included strippers, tigers and stolen babies, but a fashion wolf pack is so much better don’t you think? Now fashion week is officially underway, street style photographers will be fighting to get the best pics of the various fash packs. It doesn’t matter if you are part of the French Vogue tribe, all skinny cigarette pants, bed hair and nonchalant sexiness or one of Hollywood’s golden girl gang. Even London have their own fash pack- hello Alexa Chung et al with your scruffy shoes, winged eyelinger and next season everything. They say friends are the family you get to choose. So go forth and choose a friend (or two) with good taste and a penchant for Marni. In the meantime I’m holding out for the fashion remake of The Hangover- hopefully featuring Meryl Streep’s Miranda Priestly, with champagne and evil eyes instead of roofies and bar brawls. This entry was tagged Alexa Chung, fash pack, fashion tribes, street style. Bookmark the permalink.